This little girl of mine is soooo cute at present - her speech is changing, her approach to life (questioning, mimicking, exploring, appreciating life) is changing and she is growing up. Holly has reached the age of her life where EVERYBODY gets a cuddle. Every friend at nursery, every member of staff at nursery, her big sister, her big sister's friends, family, the cat, complete strangers if she got a chance. I remember Lara going through a similar stage just before her 4th birthday. Unfortunately, small people who hug each other a lot tends to be the place where head lice infestations start - it has happened at nursery before and I just know it is likely to happen when Holly starts school in September. Having recently discovered the Puressentiel natural skincare and healthcare products for myself, I've now also found out about the Puressentiel anti-lice range. 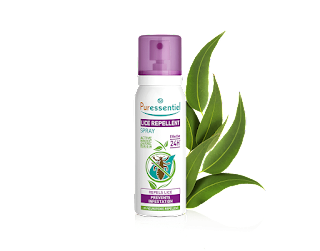 As a preventative measure when Lara goes back to school after half-term, and when Holly is at nursery we're going to try out this compact lice repellant spray which is a natural aromatherapy spray made with lemon eucalyptus essential oil which is a natural lice repellant. The spray is a fine spray which doesn't use a gas propellant to release it from the can. It's easy to apply and smells great - let's hope it manages to keep the girls' hair lice-free when school starts again. We have been very lucky to only have to deal with headlice once to date but it is always handy to have something handy in the cupboard for the day when you need it. 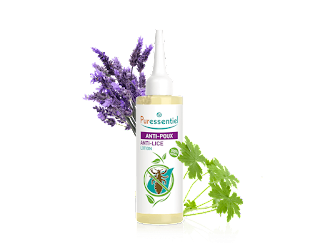 So, I can't yet vouch for the effectiveness of the Puressentiel anti-lice lotion and comb but I can tell you that it is 100% natural in origin, using essential oils and natural plant oils to kill off lice, nits and larvae. If you leave it on for at least 10 minutes, these oils stop the lice from being able to breathe. The use of natural oils also helps relive irritation and itching that lice and nits can cause. Puressentiel products can be found online at amazon and Boots.